Five Star Gold Property. Sleeps 4. Converted from part of the barn at Mill House, this fabulous detached, contemporary property offers stylish living to suit even the most discerning of guests. This is the second property we have stayed in from the Mill House Cottage collection and, yet again, we were very happy. This is our 2nd visit to Howgills Barn and we just loved it as much as the 1st. Accomodation is beautiful - lots of space for 4 people with individual bathrooms. Lovely log fire with supplies of logs and use of washing facilities which is great. Area is perfect and quiet - can walk to local pub however was closed on 2 of the 3 occasions we walked there. Owners could not be nicer, very accommodating and check in on you to ensure all is ok... which it was. Lots to do in the area we would defo go back and we use Mill House cottages regularly. Couple of very minor points on house - toilet seats could do with being replaced - discoloured and rusty underneath and main bed mattress could do with a softer cover on top - maybe personal preference. As say minor points the barn is absolutely spotless on the whole. Thank you so much for letting us stay in your amazing barn. It is truly wonderful and a credit to you both. The property was immaculately clean, well cared for and incredibly stylish. We enjoyed walking to The Barbon Inn on your recommendation and were made to feel very welcome there as well. 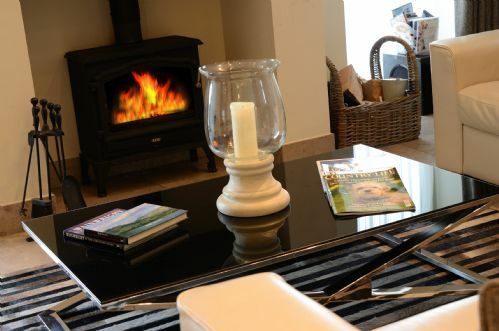 We will certainly recommend Mill House Cottages to friends and family. Hope to see you again soon in the not too distant future. Although we live very close to the Lune Valley it is only when you are able to stay in the area that you realise how special it is. Staying at Howgills Barn was wonderful. Pure luxury and a log burning stove for those chilly Autumn nights enhanced the time we spent there. Can’t waite for an opportunity to return. Have stayed at Howgills Barn before - about 4 years ago - and very pleased to say it is still a wonderful property in an outstanding location. The Barn is superbly fitted out with everything you'd need for a 'home from home' stay. The accommodation is top class, as is the service and customer care from Stephen and Julie. It's a perfect base from which to tour round Cumbria, The Lakes and The Dales. Even the weather was kind to us for the several days we were there. With day-long warm sun, clear blue skies and the incredible autumn colours of the woods and the Fells, it really was special. No need to visit New England in the Fall when old England is as good as this! Really beautiful quiet location . Fabulous accommodation... a real treat ... very well equipped , beautifully decorated and clean and comfortable... particularly the bed ! Wow . The owners greeted us in person , were helpful and friendly and had prepared a beautiful essentials welcome pack which included red wine ! 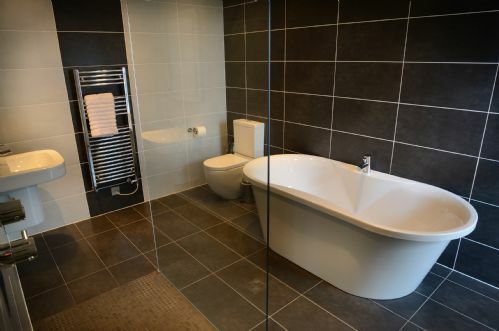 The property was spacious, extremely clean with contemporary styling which we loved. We lit the log burner on a couple of evenings which made the house very cosy. Great places to eat locally and further afield. Howgills barn is a fabulous place to stay especially for those with mobility problems. Apart from a couple of steps up to the barn you are then on one level. 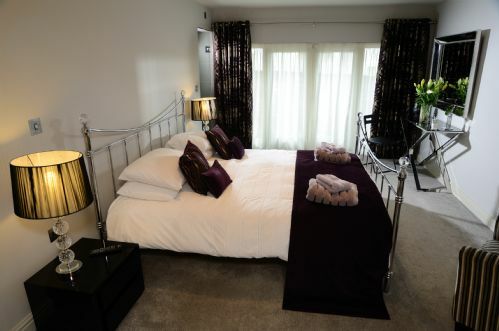 It has high quality furnishings, a superb fitted kitchen with all the appliances you need and stunning bathrooms/wet rooms for each of the two bedrooms. It truly deserves its 5*gold rating. Julie & Stephen the owners were extremely helpful hosts especially when taking delivery and removal of the oxygen system required for our stay. We will not hesitate to return again. Howgills Barn is beautifully appointed and a perfect base for a relaxing break, close to the Lakes and other adventures! Great place - 2nd stay! Love everything about Mill House Cottages. This was our second stay at Howgills Barn and we had stunning weather as well! Great location for the Lakes and the Dales .. we completed half of the Dales Way long distance walk during our two visits. Superb accommodation and service. This was our third stay with millhouse cottages and the second at howgills barn. It is a five star property creating high expectations which, for the most part are met. A chest of drawers in the front bedroom would be very useful. The adjacent store room is great but drawers for stuff which can’t be hung would be an improvement. We thought the overall standard of cleanliness wasn’t as good as last time. Cobwebs on walls, dust in corners, smeary glass. Finally, whilst not wishing to suggest that the duvet cover had not been freshly laundered, the underside bore several highly suspicious marks. Not nice wondering what you might be getting into bed with. Lest this all sounds too damning let me say we had a lovely week and will no doubt be booking with mill house cottages again. Lovely place for a relaxing break, very peaceful and scenic. First time to stay in Howgill Barn and hopefully not the last, definitely a 5 star accommodation, credit to Julie and Stephen. Will definitely return, this was our second visit as we stayed in Northerndale the first time. This is the third time we have used with Mill House Cottages and the second time we have stayed in Howgills Barn. This is a beautiful peaceful location with accommodation to match and deserves its 5 Star rating. The accommodation is fantastic, comfortable and well laid out. We are in the process of booking again for next year because for us this is a little bit of heaven and we always leave our time feeling refreshed. Great hosts who are available but do not bother you unless you need it. We would recommend this to anyone. Howgills Barn is a beautifully and luxuriously appointed cottage for relaxing and exploring the local area and the Lakes - we'll be back next year! An ideal location to explore both The Lakes and The Dales. A well furnished and comfortable property which made for relaxed evenings after a long day. The welcome pack was a nice touch. The cottage was fabulous it was so homely and comfortable. Comfort and style were unreal and all the tittle touches that are added made our stay more memorable the hamper was so welcoming and the toiletries from "Bath house" were a luxury we actually came home and ordered some for our selves. Communication was excellent we received a text welcoming us on arrival a home visit to check that everything was fine and then a text to wish us a safe journey home. We would most certainly recommend a stay. The property was excellent in every way. The quality of furniture, crockery etc was beautiful. Maybe just a couple of more cooking utensils (blender, whisk etc and a new sauté pan) would have been helpful as we loved eating in. Look forward to coming again soon. We were looking for a luxury location to use as a base to see the Dales and Lakes. So glad we found Howgills. Relaxing and enjoyable location surrounded by beautiful scenery. Fantastic cottage well equipped with high end fixtures and fittings. Julie and Stephen were great hosts, available when needed and a lovely welcome present of local produce. Well situated for exploring the area with some good pubs for food and drink. Highly recommended for those who like to walk and take things easy ! This made for the perfect weekend for my son's 18th Birthday. We hired Howgill's and Mill House cottage, both were superb. Mill House is an old favourite and it is completely refreshed after the redecoration. They both were comfy, cosy and had all the little touches you could hope for. Spacious , comfortable, stylish accommodation for 4 ( plus well-behaved dog). The exceptional weather- hot and sunny in June - added to the pleasure. BBQ alfresco eating at 9pm almost unheard of in this part of the world especially several nights in a row. Hosts available without being in anyway intrusive. Being very picky a little issue with lack of clothes hooks in bathrooms and bedrooms and the main bathroom shower could not be used to full as it would flood the bathroom and possibly beyond. Cottage provides easy access to places of interest in Lancashire, Cumbria and Yorkshire Dales. All in all; highly recommended. My wife and I spent a week at Howgills Barn and despite the poor weather we thoroughly enjoyed our stay. The cottage is in a stunning location and is absolutely fabulous inside, fitted out to a very high standard, the attention to detail is fabulous right down to the Nespresso machine and the welcome goodies. Highly recommended for the Lakes or the Dales and Kirkby Lonsdale (6 miles) is lovely with lots of great places to eat. Our stay at Hogwills Barn was our second stay with Mill House Cottages and like the first it did not disappoint us. We love the area, and the standard and comfort of the accommodation was absolutely fantastic. The friendliness and welcome were outstanding and it is our intention to definitely stay again. Some of our family were with us and this was their first stay here and they thought the accommodation was awesome. We would recommend this as a number one choice when deciding to visit the area of Cumbria or the Yorkshire Dales. Fantastic barn, very well equipped and located in an oustanding setting. Howgills Barn is a lovely place to stay. The beds are extremely comfortable, even the bedding had a lovely fresh linen smell and the barn offers a truly 'home from home' experience. We visited the barn with some friends and there is plenty of space for four adults, with all the amenities required. The location was great for us, very remote but lots of great places to visit nearby. The views are spectacular and it really was a truly relaxing break. We will definitely return! Another wonderful stay at howgills, perfect for our family and close to our family members who we are visiting. Clean and comfortable stay in a luxury accommodation. Absolutely stunning barn conversion, a real luxury retreat located in a beautiful setting. Thoroughly enjoyed the barn and the surrounding area. An amazing setting, very peaceful with great walks from the barn, warm & cosy on wet days. Julie & Stephen very helpful & attentive hosts. Really comfortable beds with superb wet room bathrooms, we will certainly come back. The cottage was just as the details suggested - very comfortable - can't think of anything to improve our stay. I would just like to say what a wonderful time myself and my parents had at Howgills Barn. The accommodation itself was top class and had everything we needed. Everything was so comfortable and we had a nice relaxing stay. The welcome pack was very much appreciated, as was the coffee. I would definitely consider coming back to stay. Excellent stay, a real touch of class in a very peaceful location near attractions. Can't wait to return. All round excellent stay. Can't fault anything. Made to feel very welcome and wanted for nothing. Have had another lovely holiday at Howgills Barn. I am very fussy about where I stay and always spend hours trawling review sites before I book. Accomodation clean and spacious. Location great for us. Beautiful views of the countryside around. I would definitely stay again. Thanks to the owner of the property for having a such gorgeous relaxing place.Our visit to the cottage was so great, so if we could , we will have stayed longer. 5 Stars all the way ! The barn was lovely and well appointed, well located and modern. The surrounding scenery was spectacular, and it seems that the local walks were well off the beaten track. The amenities in the facility were generally great, the shower was powerful and the Internet reliable. We thoroughly enjoyed using the kitchen and it had all the implements you could want. Julie and the staff were very welcoming and helpful. However there were a couple of things I felt could be improved. We only used one of the bedrooms but were disappointed to find polycotton bedding, and the mattress was somewhat sunken. Additionally we arrived with a baby and had requested a cot but we weren't informed that bedding wasn't supplied. We were offered a sheet for the cot when we asked the following day, but it would have been helpful to know in advance. We all had a lovely time at the barn. It is very comfortable and in a beautiful location. It had everything that you need and we felt like home from home. It is a great place to relax and unwind. Thank you. We enjoyed a wonderful week in this superb cottage. Everything was beautifully crafted, immaculately clean and to a very high standard. The peaceful surroundings, at the foot of the fell were breathtakingly beautiful. Even the weather was perfect - the only downside was it was much too warm to light the log burner! Maybe a reason to return in colder weather? Stephen & Julie were perfect hosts - friendly & helpful yet respectful of our privacy. The area is far away from the madding crowd, surrounded by fields and meadows but only 10 minutes from Kirby Lonsdale. After a day out in the Lakes or Dales the cottage was a perfect retreat. We enjoyed an excellent meal at the friendly local inn at Barbon. All in all, a great holiday which suited us and our aging parents. Thank you! We hope to return. The area is breathtaking. The stunning lake district is close enough to visit - but do not miss the beauty of this part of the Yorkshire Dales. Julie and Steve are the ultimate hosts and have great attention to detail. Howgills Barn - a lovely property in a great location. You would go a long way to find a property of this quality for the price. Fixture and fittings are to the highest standard and the super king beds are extremely comfortable. The location is ideal for those wishing to visit the sights and villages in both the Dales and the Lake District, despite being off the beaten track. The owners are very friendly and obliging. Howgills is definitely worth another visit. The best accomodation we had in England!! We loved every part of this beautiful property. Beautifully presented and everything thought of. Great spot between the Yorkshire Dales and The Lakes. We are returners to Howgills Barn and find its surroundings stunningly beautiful. Despite the weather we had a most restful and enjoyable stay. What better than to wake up in a morning with no other sound than the birds singing and lambs bleating? Pure tranquility. Everything top quality and as ever, a very warm welcome from Julie and Stephen. This is a truly amazing place. A wonderful place to stay and a great base to explore the local area. Accomodation was extremely comfortable and the hosts have thought of everything to make the stay memorable. Would highly recommend. Plenty of lovely walks within close proximity, most of which happen to cross paths with a pub or two... A real home from home, and we will definitely be back! We stayed here for our honeymoon, and it was an amazing place the views where breathtaking and the cottage it's self well we couldn't have asked for anything more. Julie and Steven where great any nothing was too much trouble very friendly and welcoming. Had a lovely welcoming hamper which was very nice. Each room was so well done and was so clean. The log burner was a real treat to come back to after a long day out walking. Fabulous walks right outside the door. Well definitely book again, can't wait to come back! make your reservation without hesitation! From initial inquiry to checkout, communications with Julie were always prompt. The accommodation is as good as, if not better, than the pictures portray. The location was perfect with many walking options available at your door step or sights to visit within an easy drive away. The cottage is beautiful and very comfortable - we very much enjoyed our stay at Howgills Barn. Fully equipped and with all the extras so we didn't have to think about bringing everything with us (fire lighters, kindling, matches, DVDs, milk, butter, tea towels etc). Plus the little luxuries made for a great few days. We can't fault Howgills Barn, the property is decorated to a high standard and furnished to make sure you have a cozy relaxing holiday. And you wouldn't wish for a better location. stunning! to friends and relatives . Thank you so much for a lovely review! Delighted that you enjoyed your stay with us and that you enjoyed Howgills as much as The Pavilion. Hope to see you again in the not too distant future. This was the perfect place to have a grown up family Christmas away from home. We had some lovely walks then came back to a warm, comfortable and superbly fitted out space. The bathrooms and bedrooms were a delight and so restful. Just what we all needed. Another stay at these wonderful cottages with Stephen and Julie most welcoming hosts who have thought of every detail to make your stay just great, with an eye for style and quality makes these cottages outstanding. You will not be disappointed. We have stayed many times at Mill House and always enjoyed a wonderful relaxed time there. Howgills Barn is extremely comfortable, spacious and well equipped. The log fire is so cosy now that the evenings are drawing in and it is getting colder. One of the greatest pleasures is being able to walk straight out of the cottage and enjoy wonderful walks. The area is so beautiful and un-spoilt, we prefer it to the crowded Lakes! We very much look forward to coming again. Thank you Julie and Stephen. Could not ask for a better place to spend my anniversary really glad I booked it . I'll start by saying that I have a terrible habit of reading reviews for everything!! I had read reviews about here and all were really positive, so I booked. I'm so glad I did! Just stayed in Howgills for a week with my husband and son (a wheelchair user). The location is quite remote but this was made clear to us on booking and really wasn't a problem. The barn was spacious enough to accommodate the wheelchair which was great. The nearest village is about 5 minutes away and we had a meal in the pub there, it wasn't a fancy gastro place but we enjoyed our meals. My only downside was that the weather was too good sadly to light the log fire and the steps at the front could be a problem for other wheelchair users. We bumped it down and lifted it up. Overall great accommodation in a gorgeous setting with beautiful views! about providing their guests with a first class holiday experience. Would highly recommend. An absolutely beautiful cottage in a stunning location with lovely views. Extremely well equipped and furnished to a very high standard. Luxurious bathrooms with sumptuous white robes to snuggle in by the log fire. The most comfortable beds for a restful nights sleep after long walks in the surrounding countryside. Excellent service was received from housekeeper, Sarah, at midnight on the night we lost power due to hot air balloon taking out a power line. A fresh supply of candles and matches provided a different ambiance to that expected but hey we enjoyed the experience and had a good holiday as ever. This is our third stay in Howgills Barn and each time it exceeds expectations as we discover something new and different in this beautiful area. We did more local walks during this stay and really enjoyed dining out at The Highwayman, The Sun Inn and The Barbon. The cottage is extremely well equipped with TVs in both bedrooms. The walk in wet rooms are so luxurious and we just love the log burner, which along with underfloor heating kept us very cosy during our visit. Having our own private laundry and drying room was a bonus when drying out walking gear. Can't wait to come back! A beautiful cottage in a gorgeous location. Very isolated and if you are not a fan of driving on single track country lanes then access may be a problem for you. However, the drive is worth it because of the views and the peace & quiet. The cottage was very warm and comfortable with everything you need. Despite the location the Wi-fi was not bad either. Unfortunately we had awful weather but this just made the place more cosy! Barn looked superb. On arrival we were delighted to find that the Barn lived up to its description & totally exceeded our expectations. Everything is immaculate & of the highest standard. 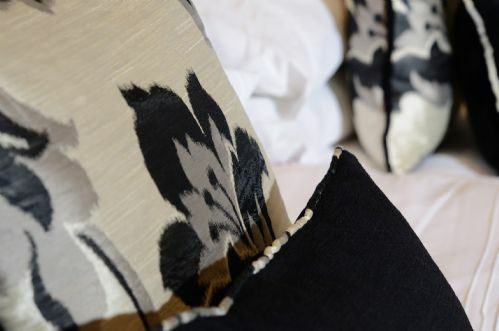 All rooms have been dressed in beautiful fabrics, lovely colours & fabulous furniture. The bathrooms are stunning. The extra touches like the Nespresso Coffee Machine in the kitchen shows how considerate Julie has been in planning every detail. Julie & Stephen were warm & welcoming. They were extremely hospitable throughout our stay & treated us like family. Nothing was too much trouble. Lovely people! A truly wonderful place to stay. We are going back! 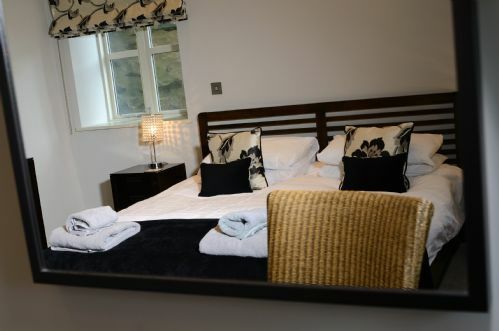 This was another fabulous stay, we have been in Mill Cottage a few times and now Howgills, it was just as expected and more, outstanding in all areas, comfort and quality with such styling, always a welcome basket to give you a sample of local goods. There is everything you need and with some special extras added makes your stay even more special. Wonderful, friendly and very welcoming cannot wait to book again. A perfect cottage sat in magnificent surroundings. The fact that we continue to return to Mill House says it all. This time we decided to treat ourselves to Howgills Barn and we were not disappointed. The cottages, location and the hosts are exceptional. This was our second stay at Howgills Barn - it is a beautiful barn conversion with luxurious fittings, a huge welcome hamper and all set in beautiful scenery with its own private Fell to walk up. Per e-mail to owners. Beautiful property in a wonderful location - highly recommended. Refer to earlier e-mail to owners. I can honestly say we've had a fabulous break in a simply wonderful property - thank you for letting us share your little bit of heaven if only for a few days. The opportunity to walk out of a lovely contemporary furnished home and straight up onto largely unknown fells amongst the deers was singularly unique in our experience (Paul loved the wilderness heading up towards Middleton Fell). We'd love to keep Mill House Cottages a secret - but that's not good for business! An amazing start to our honeymoon! We had an amazing start to our honeymoon at Howgills Barn. The cottage was amazing and the welcome hamper was lovely to find. We enjoyed the surrounding area and the beautiful views from the cottage and it was a luxurious place to come back to at the end of the day. Stephen and Julie were both really friendly and keen to help give us a great holiday. Fantastic views in a well equipped cottage which really is home from home with everything we needed. The cottage has been well decorated and maintained, quiet location with the only downside being that our stay was not long enough! Will certainly be looking at returning in the near future. 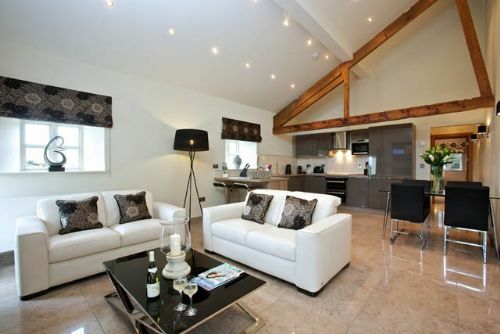 Fabulously appointed and maintained barn conversion in a beautiful part of Cumbria! Stephen and Julie are amiable but unobtrusive hosts. Would recommend to anybody who enjoys English countryside. Everything about this property merits it's 5 star rating. It has the wow factor as soon as soon as you arrive in the drive. Once inside Howgill s Barn is even more impressive than the online pictures portray. 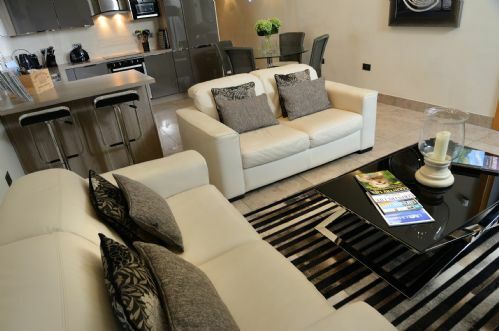 Tastefully decorated throughout with modern furnishings and fittings. The welcome hamper was a beautiful touch and much appreciated. The toiletries were luxurious. A wonderful peaceful location and an ideal place to unwind and relax. Only down side was we d only booked for 4 nights and didn't want to leave. Howgills Barn had everything we wanted, it was a beautiful barn conversion in a fantastic area. A real gem. Loved the welcome pack of goodies to get you started - the local yogurts were delicious! Howgills has everything you need for a relaxing holiday, hope to return soon. We wanted a relaxing home from home cottage in a rural setting and that is exactly what we got. Situated at the top of a single track lane, surrounded by fields and amazing views makes this the perfect country retreat. You are warmly welcomed by the hosts in person and with a welcoming basket of goodies. The property is finished to a very high standard and the décor and furnishing are in extremely good taste. Large comfortable beds, large bathrooms with large showers and bath tubs. What more could you ask for? Thank you Stephen and Julie for making it a very relaxing and comfortable holiday. We have just returned from 3 nights stay in Howgills Barn and Southerdale Cottage. The cottages are absolutely perfect, the have been renovated to the highest standard, I could not imagine them being any better. The setting was very peaceful and incredibly beautiful. Would highly recommend a stay at these cottages and hope to go back soon. We had a long journey so arriving to a beautiful, warm cottage was a relief. We had a lovely hamper of goodies which enabled us to have a drink before unloading the car (and something stronger for when we had unpacked). 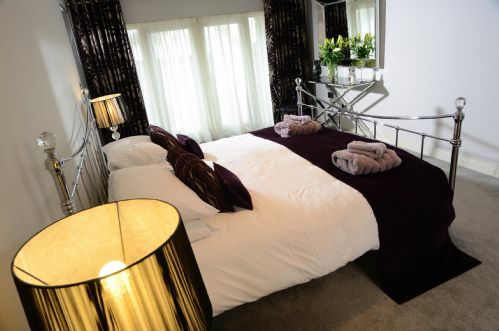 The bedrooms and bathrooms were finished to a very high spec and the toiletries were gorgeous. The location was beautiful and thanks to the directions easy to find. We had no need to light the pre-laid wood burning fire but it still made a good focal point. The decor was extremely tasteful and the kitchen fitted to a very high standard. It was a joy to return to after a days' sightseeing. We will certainly recommend the cottage to our friends and colleagues. Could ask for nothing more! Beautiful surroundings in an immaculate barn. We were pleasantly surprised by the modcons..... In fact better equipt than my own home! A wonderful addition was the welcome hamper which went above and beyond. Even when the weather wasn't with us we were comfortable in front of the log fire and TV. I couldn't recommend this place more highly and can't wait to return. Howgills Barn is fantastic - such luxurious accommodation with great attention to detail - and in beautiful surroundings. We had a wonderful time and will be coming back again soon! cant wait to visit again. The most beautiful place to stay, stunning location and the warmest welcome. Lovely welcome basket waiiting for us. We had the best few days and did not want to come home (even the dog didnt want to leave). should have 6 stars, would not change a thing. can not wait to visit again. Such a lovely conversion of the barn, modern and bright. Had a great stay watching the Olympics with feet up, log burner in full force, under floor heating so stone floor great to walk about on in stocking feet, gales were howling outside and no draughts at all. I can fully recommend this place for a get away from it all vacation. The welcome basket was well stocked, towels & bathrobes fluffy, good wifi, Vodafone & O2 reception. Window down to the floor meant the dog had a great view watching the sheep so she was happy. 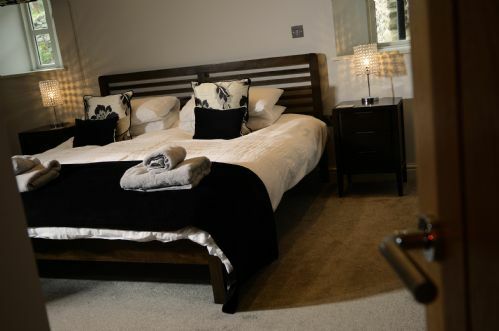 A touch of luxury between the Lakes and Dales. We had a wonderful 4 night stay at Howgills Barn. On arrival we were greeted with a food hamper that contained just about everything that we might need, including a bottle of very good red wine, which we drank with enthusiasm. The barn itself was beautifully decorated in sympathy with its unique character. Everything was of the highest standard and quality; the showers, wet rooms, furnishings and culinary items. The crowning glory of this barn is its wonderfully secluded situation yet proximity to Keswick, Kirby Lonsdale and Ruskins View. We had the most amazing time in the most beautiful location. The cottage was just gorgeous and we really couldn't have asked for more. We like to try different places when we take a break but this is a place we will definitely be looking to return to - we loved it. My girlfriend and I have just returned from a fantastic three night stay in Howgills Barn and we want to go back already! 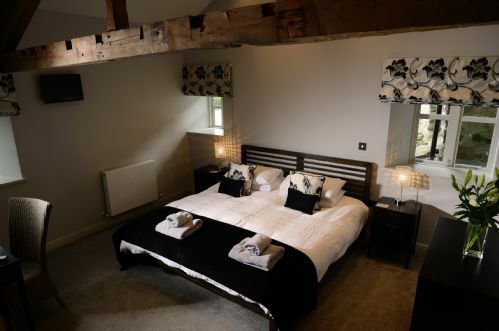 The barn is lovingly decorated in a modern and luxurious style with some fantastic little touches including the free standing bath, walk in shower, arrival hamper and ready made fire. The walk up the fell at the rear of the property is more of a challenge than it looks but the peacefulness and starry skies at night are certainly worth it. I'd can't recommend this property enough. Please stay here - you'll love it! I booked this beautiful cottage for my husband's birthday and it was worth every penny. It offers premium quality comfort, we absolutely loved every minute and couldn't fault a thing. 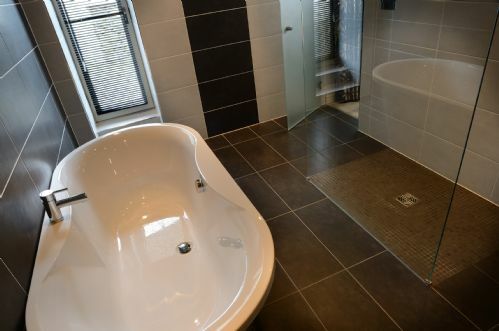 It's very spacious, I loved the huge bath in my en-suite and the underfloor heating. The kitchen is equipped with the latest modern conveniences, which was ideal as i love cooking a feast. The log fire was excellent it heated the cottage instantly and we also enjoyed toasting our marshmallows on it. We stay in cottages every year and I can honestly say hand on heart that this was by far the best we have ever booked, 5star premium quality. We are already looking to book our next stay with millhouse cottages and we can't wait ;) I would recommend this to anyone who is looking for a high quality premium service in a great location with amazing views, you will not be disappointed! We continue to come to both Howgills Barn & The Paddock as they "tick all our boxes". These are the best self catering cottages we have ever used. Stephen & Julie are excellent hosts. Howgills Barn is beautiful, cosy and welcoming, with every possible need already thought of and provided. Good wifi too! A very easy booking process, Julie was very accommodating and helpful. Would recommend this property for anyone looking for a peaceful break, within reach of amenities. Kirkby Lonsdale is a very pretty little market town and provides local shopping. We wouldn't hesitate to stay again. Many thanks for your review. we are so pleased that you had a great holiday and enjoyed the surrounding area.